A Chevron gas station sign is shown in Cardiff, California, in this January 25, 2016 photo. HOUSTON - Chevron Corp reported a lower-than-expected quarterly profit on Friday as U.S. production slipped, offsetting a rise in oil and natural gas prices. “We continue to see improvement in the underlying pattern of earnings and cash flow,” said Chief Executive John Watson, who will retire early next year. Chevron’s operations were largely not affected by Hurricane Harvey, which tore through the western U.S. Gulf Coast region in August. In the United States, Chevron said its rising Gulf of Mexico and Permian Shale output was offset by natural declines in wells elsewhere. Production increased outside the United States. 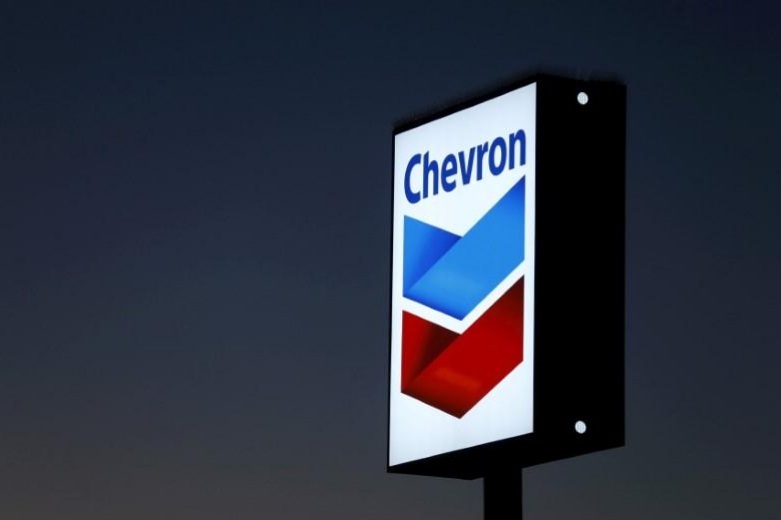 Chevron Corp reported a lower-than-expected quarterly profit on Friday as U.S. production slipped, offsetting a rise in oil and natural gas prices. Shares of the San Ramon, California-based company fell 1.2 percent to $117 in premarket trading. The stock has gained less than 1 percent this year. Net income in the third quarter was $1.95 billion, or $1.03 per share, compared with $1.28 billion, or 68 cents per share, a year earlier.